very old… Construction of the Grossmünste Romanesque-style Protestant church in the Old Town of Zürich began around 1100. 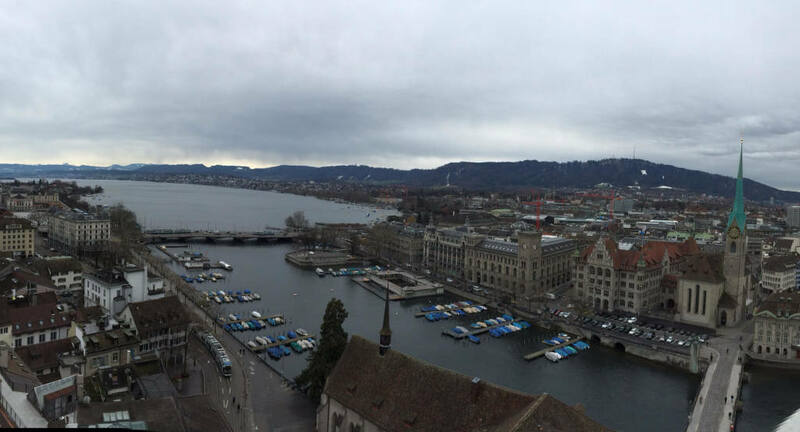 The viewing platform at the top of Karlsturm (the tower of Charlemagne), 187 steps from the nave, offers wonderful views over the old town and the lake. Open Monday to Saturday and Sunday afternoons. old… Jules Verne Panoramabar is in the centre of the Old Town, below the Urania observatory. With panoramic views over the old town, diners can enjoy a seasonal lunch menu and in the evenings, the cosy bar serves wines and cocktails. 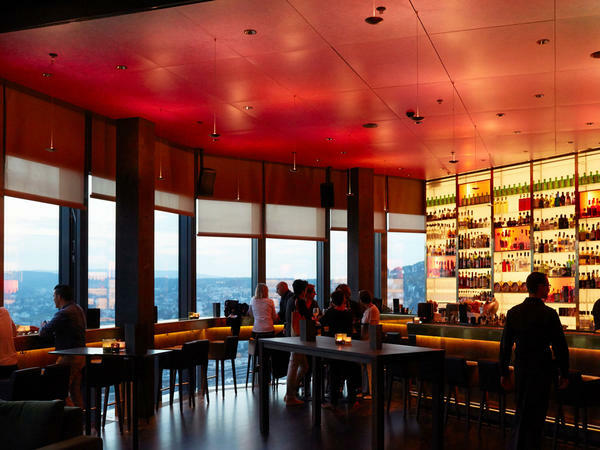 new.. At the top of Zürich’s tallest building, Prime office tower in Zürich-west, Clouds scenic restaurant, bistro and bar afford panoramic views over the city, lake and busy Hauptbahnhof below. 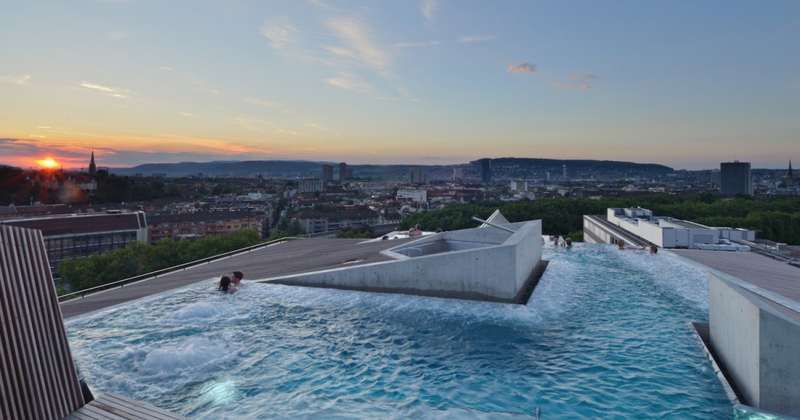 uniquely invigorating … ThermalBad & Spa Zürich. 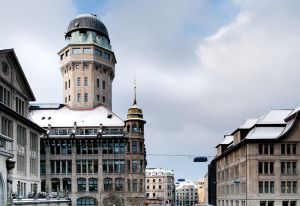 Bathe in the mystic grotto in the old Hürlimann brewery’s hundred-year-old vaulted stone walls and then enjoy beautiful views of Zürich’s skyline from the outdoor rooftop thermal pool. 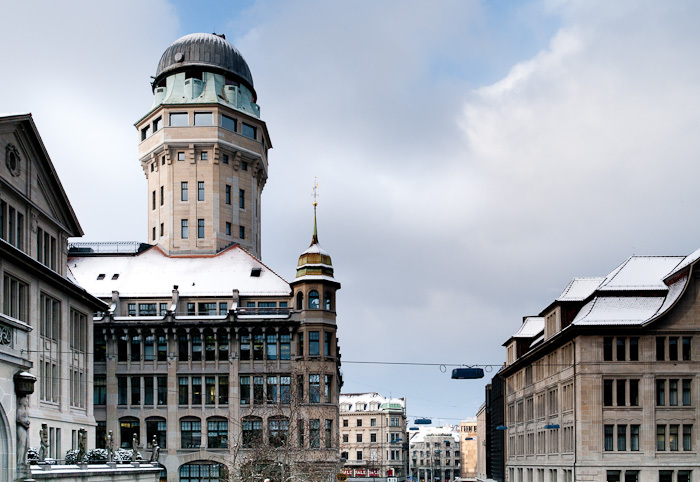 The spa’s thermal water is drawn from the legendary “Aqui” springs, deep beneath the city of Zürich. This water is rich in valuable minerals and its soothing warmth promotes wellness and relaxation… a truly special, unique place to relax, rejuvenate and revitalise. We recommend the Irish-Roman Spa Ritual for a really special experience, a unique and relaxing cleansing ritual. The secret lies in the changing sequence of rooms and themes, each devoted to a specific treatment. Through ten consecutive stations your body is gradually warmed, cleansed, relaxed and then cooled once again: floral steam bath (40°C), body peel, hot herbal steam bath (45°C), hot bath (40°C), Roman bath with massage jets (35°C), whirlpool, bubble lounger, shallow water area, heated lounger and exercise bath (28°C). 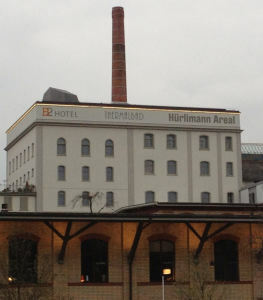 And after all this indulgence, don’t miss taking the elevator to enjoy the stunning views from the rooftop heated baths! 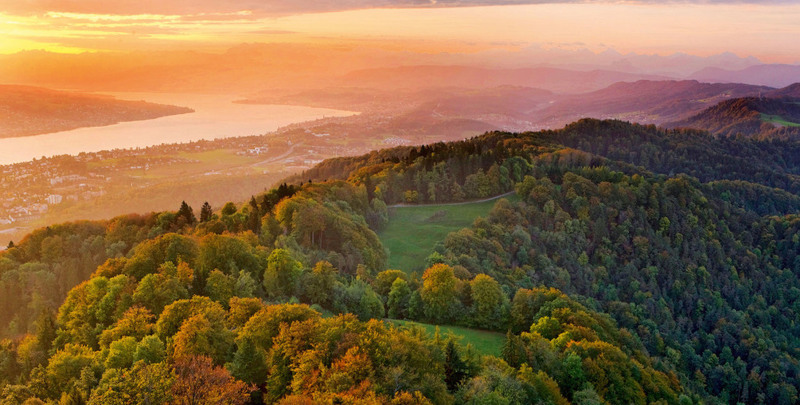 and then for a lofty view… Üetliberg mountain towers over Zürich and offers beautiful views of the city and lake – and on a clear day, a glimpse of the alps. At 2,850 feet above sea level, the mountain affords an impressive panoramic experience. 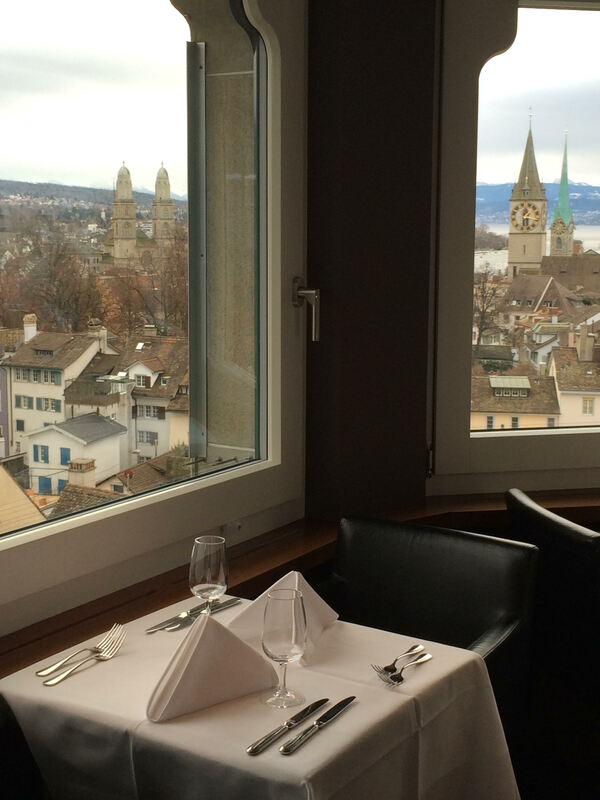 details of all these stunning destinations with views in Zürich – and many more – are in Views On Top. Download and go explore!